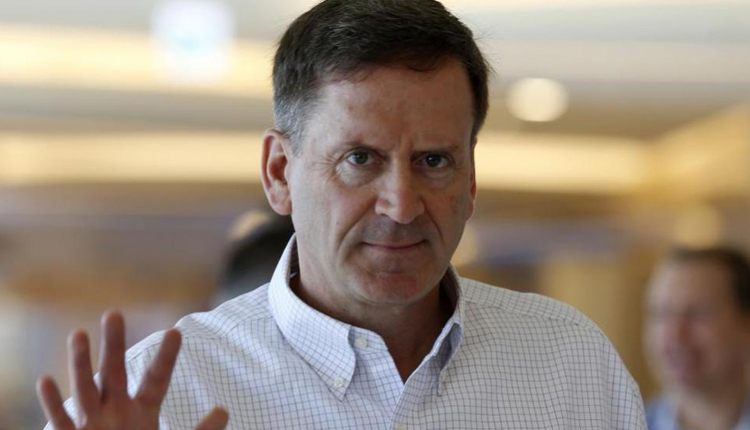 The administrator of United States Agency for International Development (USAID) Mark Green traveled to Egypt on Sunday and met with a number of Egyptian officials, USAID partners from civil society, and representatives from religious communities, the US embassy in Cairo said. Green met with USAID partners to discuss their perspectives on challenges and opportunities for NGOs in Egypt and about the country’s ongoing process to revise its NGO law. He also met with young entrepreneurs at Flat6Labs, the Cairo-based regional startup accelerator programme, to learn how USAID and the Egyptian-American Enterprise Fund are accelerating investments in early-stage, high-growth-potential companies to develop Egypt’s private sector. Green also visited Aslam Al-Silahdar Mosque in Islamic Cairo and saw how USAID, alongside the Agha Khan foundation, is helping to preserve important historic and religious cultural sites to help foster economic growth and employment in Egypt. Green also visited the Adly Street Synagogue, where he learned more about the work of the NGO Drop of Milk and its efforts to promote interfaith understanding and the preservation of cultural heritage in Egypt. The USAID administrator also met with Minister of Investment and International Cooperation Sahar Nasr to discuss collaboration on issues such as women’s economic empowerment, youth participation, private sector development, interfaith and community engagement, and the important role of NGOs in Egypt. The USAID administrator met in the end of his visit with Prime Minister Moustafa Madbouly to affirm 40 years of cooperation between USAID and Egypt. Green also acknowledged the Egypt’s leadership under President Abdel-Fattah El-Sisi in promoting religious pluralism, and emphasised the important role of civil society in Egypt’s development journey and discussed ways to advance programmes of mutual interest.